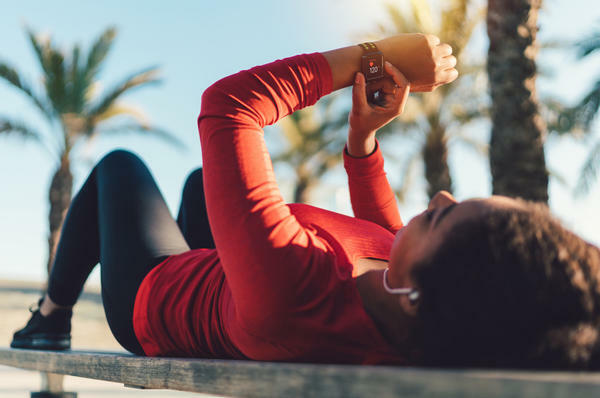 It's one thing to track your heart rate, pulse or other movements with a smart watch or other consumer electronics, researchers say, but quite another to rely on the device to diagnose a disease. Sleep Number's smart bed tracks a user's heartbeat, breathing and other movements throughout the night to compute how well a person slept. With sensors that can collect data on body movements, heart rate, blood pressure and other metrics, the list of health trackers that go beyond activity trackers like Fitbits gets longer each year. "There's definitely an explosion of these things," says Dr. Joseph Kvedar, the vice president for connected health at Partners HealthCare in Boston, and an associate professor of dermatology at Harvard Medical School. Some of these devices will lead to a better health care system, Kvedar predicts, with cheaper, more efficient care. But that will take separating useful devices and data from superfluous ones — no easy task. And not everyone believes the changes that personal health trackers are bringing will be good. The clinical accuracy and privacy of many devices remain unproved. "In a practical sense the implementation of this is still quite problematic," says Lukasz Piwek, a data scientist at the University of Bath in the United Kingdom. Still, that recent developments have made personal health tracking more powerful is undeniable, even to skeptics. "The accuracy is getting better, Piwek says. "Maybe two or three years ago it was more a problematic issue." The machine learning algorithms are getting better at picking out complex patterns from the noise, he says. One such algorithm, according to Piwek, may be the Sleep Number's "smart bed" technology. There are sensors embedded throughout the mattress. "The sensors detect any motion of your body," says Pete Bils, Sleep Number's vice president of science and research. "When your heart beats, your body actually presses on the mattress and we pick that up," he says. "When you breathe, your chest moves and we pick that up." The bed sends these and other data to a Sleep Number computer, Bils explains, where an algorithm crunches the numbers and sends you a smartphone alert on "how well" you slept. Does that have a bearing on your health? Maybe. Fed by user inputs from consumers who already own a bed, that algorithm has been getting smarter. "We collect 4 million biometric data points each night from hundreds of thousands of sleepers," Bils says. The algorithm combines that information with research from the company's sleep labs. "There are signatures that change in your sleep that are indicative of something bigger," Bils says. "We are starting to identify what those changes represent — whether it's a heart issue or a breathing issue or a sleep disorder." The bed is still a ways off from telling if you have a disorder like sleep apnea with any confidence. In some cases, restless sleep and a higher heart rate might be the consequence of a night of heavy drinking, for example. Sleep Number's algorithm "seems like a work in progress," Piwek says. "Based on available research, it's difficult to create sophisticated machine learning predictions like sleep apnea or heart rate conditions." But a lot of companies are working on that, he says and "it's probably just a matter of time," before they find good solutions. 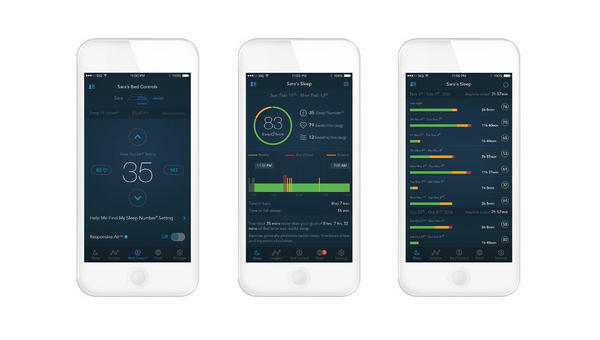 As for Sleep Number, Bils says the company isn't aiming to actually diagnose anything. You'd still want to ask your doctor to do a more thorough examination, he says. But the hope is that sleepers on a smart bed who have been alerted could help their doctor catch health issues before they fully develop — or at least catch such conditions earlier. Other firms are already converting more traditional health instruments — like blood pressure cuffs, weight scales and heart monitors — into consumer electronics. Many of these were created for people who are simply interested in personal metrics, but such devices are finding their way into programs designed to support patients who have chronic illnesses, such as diabetes or dementia. Boston's Massachusetts General Hospital, which is managed by Partners HealthCare, tried one such monitoring program for patients with heart failure. The patients each got an Internet-connected weight scale and blood pressure cuff that streamed data to the medical team. "A clinician touches base with the patient if there's a reading that's out of parameter, and can intervene before they get sicker," says Kvedar, who has studied the program. Already, he says, this sort of tracking has helped lower hospital readmission rates, costs and mortality for these patients, at least in the first few months of use. The real dream for evangelists of personal health monitoring is an expansion of these kinds of programs to people who aren't sick. Kvedar envisions "a world where everything is measured, everything is proactive and preventative, and we react to it before you get sick." With a network of smart devices collecting information on sleep, exercise, heart activity, weight and more, a clinical team equipped with powerful AI might be empowered to make more medical decisions remotely, he says, with fewer office visits. "It moves care away from the hospital and the [doctor's] office," he says, "and makes it a continuous function in your life." That vision bespeaks a technological utopia of sorts, but University of Bath's Piwek has a less rosy view. Problems still abound, he says, even in getting patients to commit to using these things. "People drop using them after a few months because they don't find sufficient value in the devices," Piwek says. After all, if you're healthy and not any particular risk for a disease, monitoring yourself may not feel worth the extra effort. Many doctors, too, remain skeptical as to whether the data coming in from consumer devices are even useful, Kvedar says. "There's a fear of data overload [among physicians] that is realistic," he says. "And some health care providers may be skeptical that an Internet-linked blood pressure cuff is as reliable as one they've been using for years." The concerns over reliability loom especially large when it comes to consumer health electronics, Piwek agrees. Many consumer devices can give information that's reliably accurate enough to meet clinical standards, he says, but others may not. Unlike with medical devices regulated by the Food and Drug Administration, there's no approval process requiring the makers of consumer electronics that are designed for "personal tracking" to meet a medical-grade quality standard. "Trials have been done [on consumer electronics, such as heart monitors] with varying results," Piwek says. "Sometimes the wearables are off, and sometimes they are very close. But clinicians can't get the wrong information from this device if they are going to use it for diagnosis or prescriptions." How all this personal data will be distributed and protected is another cause for apprehension, Piwek says. HIPAA, the Health Insurance Portability and Accountability Act, provides protection for data collected through FDA-approved medical devices and medical professionals. But it doesn't say anything about safeguarding information from consumer health trackers. Without privacy and security provisions for data collected through consumer electronics, the door is open for companies to trade your data, Piwek says. "Even anonymized, data can be cross-referenced with other information," which can reveal your identity, he says. "[It's] dangerous in terms of insurance or invasive profiling of your patterns, activities and health." In principle, he says, access to these data could enable insurers to infer something about you — such as that you have a pre-existing condition. How reliability, security and privacy will be handled with these devices are questions that need solving fast, Piwek says. Personal health electronics are quickly becoming staples of our environment. He thinks there will come a day when these devices are integrated into everyone's health care. "That is the future we have to face," Piwek says. "And that's where government practices are so important." There are many other digital devices on the market that claim they can improve your health. Wearable technology can track your fitness, your blood pressure, your heart rate. But can all this tracking actually lead to cheaper and better health care? Reporter Angus Chen tried to find out. ANGUS CHEN, BYLINE: Consumer electronics have gone way beyond Fitbits and activity trackers. Take, for example, the Smart Bed made by Sleep Number. The company's VP of science, Pete Bils, says it has sensors throughout the mattress that track your breathing, movements and heart activity while you sleep. PETE BILS: We can actually see changes in sleep that might represent a signature of a bigger health issue - for instance, arrhythmias or a heart attack. CHEN: The data gets sent to your smartphone, and if the bed notices something is off, Bils says you could alert your doctor to take a closer look. That could help people discover underlying conditions like sleep apnea. There aren't any studies yet showing this technology is impacting people's health, but companies are eager to start measuring everything. There's a pillow that collects data while you cuddle it, a fork that monitors how fast you're eating, an automatic blood pressure cuff that sends data to your phone. JOSEPH KVEDAR: There's definitely an explosion of these things. CHEN: Dr. Joseph Kvedar is the vice president for connected health at Partners HealthCare and a professor at Harvard Medical School. He thinks that these personal health devices might be key to changing the way we get our health care. KVEDAR: We're transitioning to a world where everything is preventative, everything is proactive and we measure everything and we react to it before you get sick. CHEN: The idea is that with a range of devices, monitoring things like blood pressure, weight, activity and sleep, you'd get treated for health issues earlier and faster. Eventually, this data could go directly to your health care provider. KVEDAR: The pharmacist could manage certain things. You might get a nurse practitioner that makes some prescribing decisions. CHEN: Kvedar says that would save time and money. And with devices figuring out when you might have a health issue, this system might keep people healthier, too. LUKASZ PIWEK: That's kind of the Holy Grail for the health care, right? But in practical sense, implementation of this is still quite problematic. CHEN: Lukasz Piwek is a data scientist at the University of Bath in the U.K. He says a big problem with these devices is people don't use them consistently. And he says there's no quality control. Some devices can give accurate data, but some just aren't reliable. That makes doctors hesitant to use them. PIWEK: Clinicians can get the wrong information from this device if they are going to use it for any diagnosis or prescription. CHEN: And with so many devices gathering so much data, privacy is also an issue. Information collected by medical professionals and FDA-approved devices are protected under federal law, but data from consumer electronics aren't. Kvedar says that could be a problem for some consumers. KVEDAR: We make decisions to trade privacy for things all the time. Is consumer health different? Is there this dark world where your insurer might hold something against you? CHEN: He says these are the questions we now have to grapple with because the technology is here, and it's already in use. For NPR News, I'm Angus Chen. (SOUNDBITE OF BRNFKD SONG, "SHINING") Transcript provided by NPR, Copyright NPR.